This program will allow you to help your orthodontic patients at a high level immediately. You’ll start by building your foundations and work up to treating or managing the majority of your orthodontic cases. Learn more about our teaching philosophy. 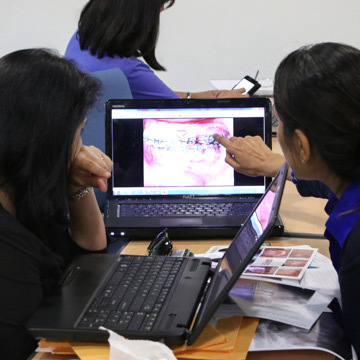 We cater to dentists’ busy lifestyle and individual learning styles and teach the program in two formats: Live and Online (IAT). 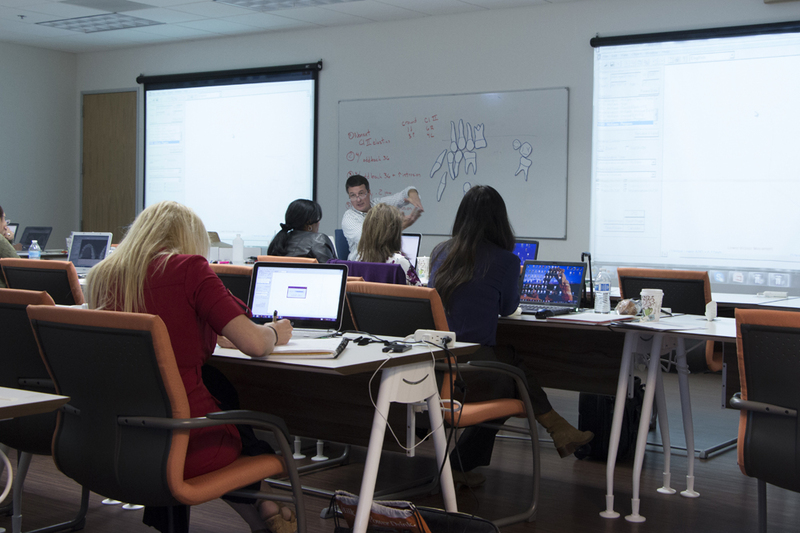 Whether you learn better in a classroom or with mixed media, we have a system to help you treat your orthodontic patients successfully! Not sure which method to use? Don’t worry, you can use both! Both formats have the same curriculum, cost, software, support and high graduate proficiency. Best of all, you can mix and switch study formats to maximize your learning for no extra cost! Try out the different formats with our free live or online trial today. The popular Live format consists of 12 seminars, each lasting 4 days (Friday – Monday). Instructors use Powerpoint presentations, hands-on exercises, and other visual tools to help you learn. You are most likely to appreciate this format if you are an audio-visual learner liking regular interaction in a classroom and minimal homework. 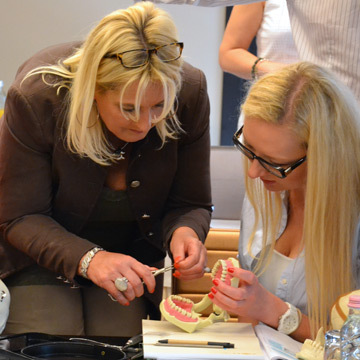 You will develop your orthodontic capabilities over a 20-22 month period. 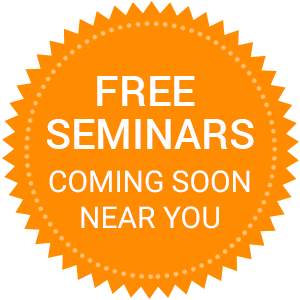 The first four seminars will build your foundation to start diagnosing and treating bread and butter cases with success. The next section will expand your skills to predictably treat these (and intermediate) cases with the detail needed. 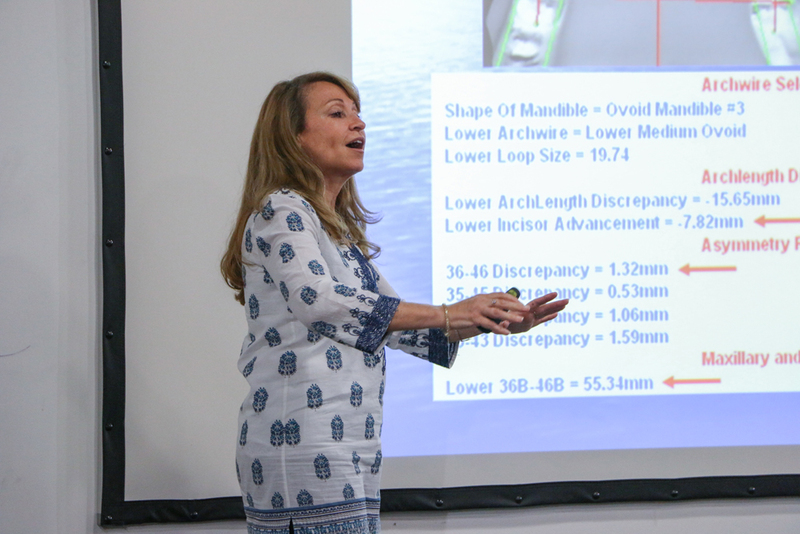 The last four seminars add in the vertical dimension, maximizing the benefits of orthodontics in all areas of dentistry. For success in orthodontics, you should have a solid foundation. 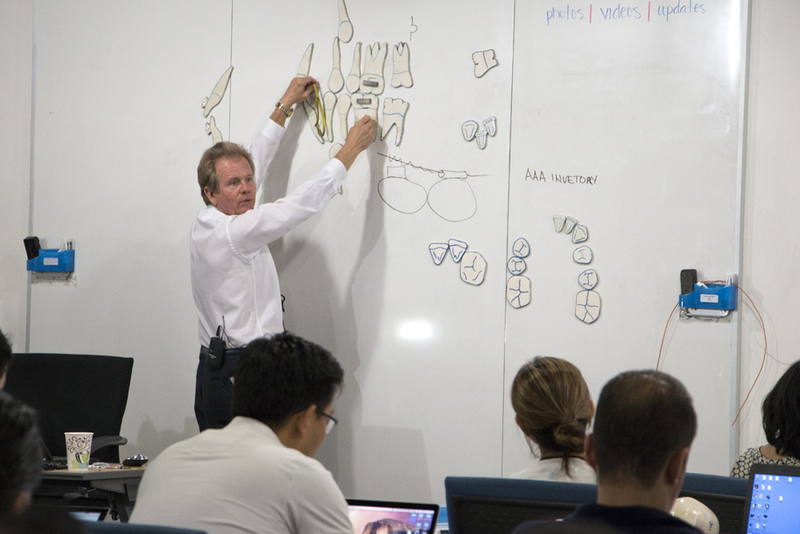 Learn your core orthodontic principles and limitations so that you are successful on every case. Regardless of your background, you will understand how to select good initial cases, how to start them, as well as fix any misconceptions if you have any. To avoid future complications and surprises, you will learn how to set up your orthodontic cases and expectations properly. You will learn from instructional cases and practice diagnosing and working with them like they are your own patients. Discuss orthodontics with the right patients, take proper orthodontic records, and prepare your patients and staff for orthodontics! After analyzing the case, you’ll practice the second consultation as patients will want to know—how much is treatment, how long will it take, and what are the next steps. You will practice with extensive exercises so you are confident to analyze and discuss your cases immediately when you go back to your office. 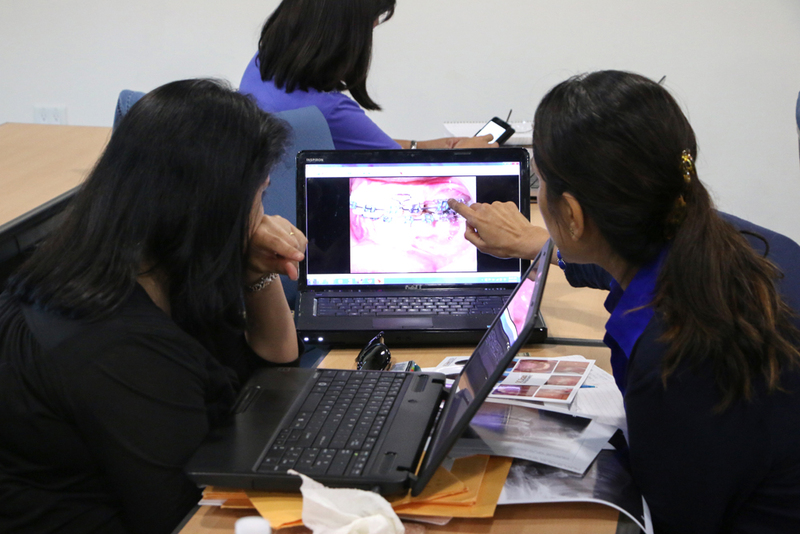 Analyze and treatment plan your easier orthodontic cases. You can also now start earning orthodontic revenue! Now that you have a background on orthodontic principles and analyses, learn the mechanics to start your orthodontic cases. 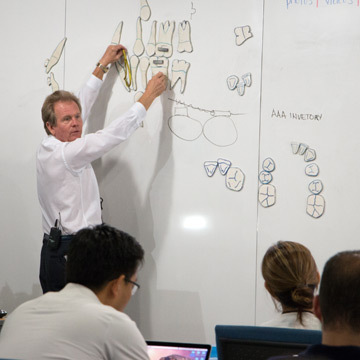 You will gain better understanding on how brackets, torque, wire progression, and tooth movement work so you can start treating patients with confidence. With both didactic and hands-on training, this initial mechanics class is one of doctors' favorites! Start treating easy orthodontic patients! While the first 3 seminars showed you how to start your bread and butter cases, this class will teach you how to continue treatment throughout these cases. You will learn about the alignment, mechanics and finishing stages as well as the common orthodontic tools used in these stages. We will now reveal the treatment given to the 10 practice cases that you have been working on. We are sharing every detail in these cases, so you can understand how the principles you see apply to your own patients. Understand the overall treatment plan for your bread and butter cases! Now that you have developed your foundational orthodontic skills, we will focus on the “doctor work”. 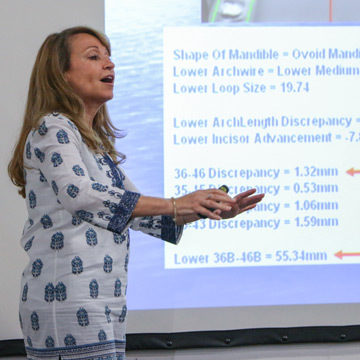 Starting with this seminar, the focus will shift more into diagnosis, treatment planning, and the actual treatment of the cases you will see so you can be efficient and confident in the orthodontic work you do. 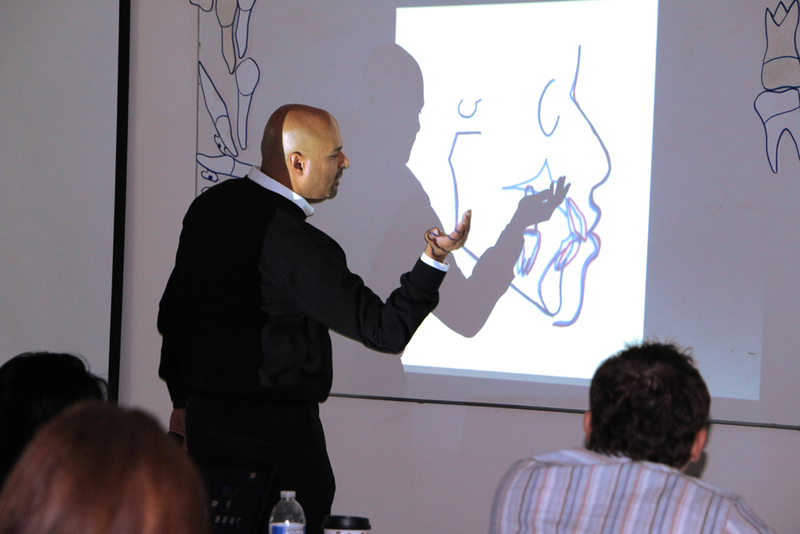 In this course, you will learn new principles ranging from Dentofacial Orthodontics to Class III philosophies. By following certain protocols, you can successfully treat Class III cases (and often without surgery). You will also learn the proper system to retrieve impacted teeth with the right forces. Understand Class II and Class III patients with much better diagnostic knowledge and treatment tools. Young patients are greatly overlooked, and they often grow too long with unresolved orthodontic problems. In this seminar, you will learn how to identify the commonorthodontic issues encountered in young patients and develop a long term vision for them. Mixed dentition cases will become rewarding and fun! You will get more skilled at doing the “doctor work”. You probably won’t be fully proficient at treatment planning yet, but are well on your way. This is likely to be the seminar where you will hit a turning point of orthodontic understanding. Although this “ah ha” moment depends on a few factors, this is a milestone seminar to look forward to. Apply new tools like TPAs and growth management skills to help your young patients. You now also have finishing techniques that can aid your current cases. The focus of this seminar is to give you more experience in diagnosing cases, making treatment plans, and understanding of the best appliance for each treatment. The severity of the cases will be increasing and the topic of asymmetry will be introduced. Diagnose and treat cases with moderate severity, including some cases with asymmetry and biprotrusion, and use patients’ growth with more confidence. Seminar 8 is a diagnosis seminar with asymmetry as the main focus. 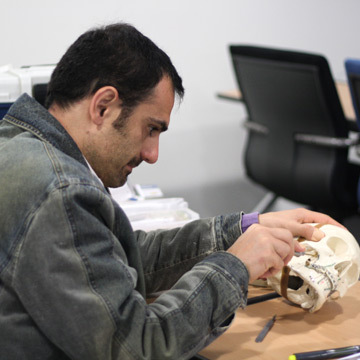 You will develop skills to recognize and distinguish between skeletal asymmetry, functional shift, and dental asymmetry. At the same time you will enhance your diagnostic skills and habits, making the cases you learned in the first 4 seminars look easy. You will diagnose slightly more difficult cases as you become more proficient at diagnosis, editing treatment plans and mechanics. Seminar 9 is a class favorite. 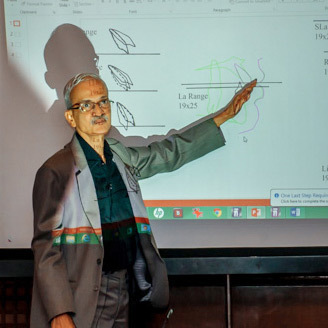 This is the first seminar where you diagnose and treat the vertical dimension. 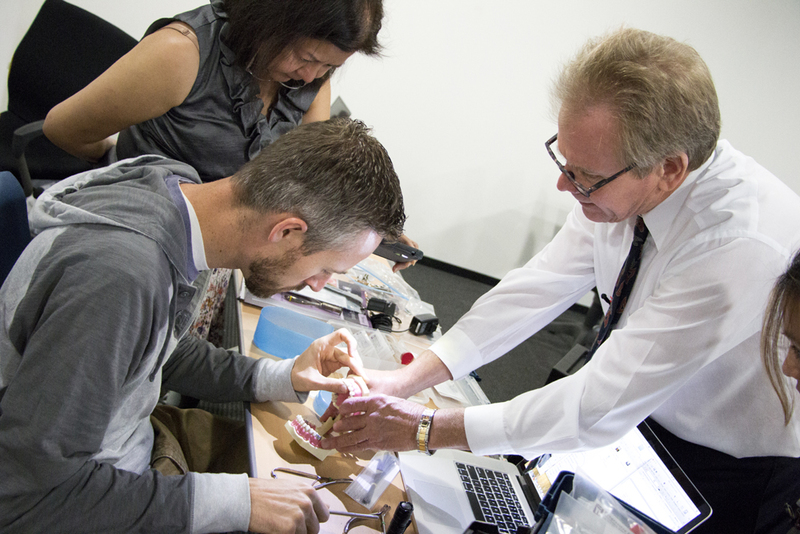 You will gain new tools like skeletal anchorage to open up a new world of orthodontic capabilities. You will learn the proper approach and placement within skeletal anchorage for stable and predictable results. You will now have a protocol on how to diagnose and treatment plan your deep bite and gummy smile patients. Deep Bite, Gingival Display and Occlusal Plane Cants are No Longer a Problem! Diagnose the vertical dimension of cases. You can use these new skills to improve treatment on your gummy smile and deep bite patients. *At this seminar, you are invited to bring your surgeon to learn with you for the first 3 afternoons (for no charge). You and your surgeon may work together to place the appliance to create a stable, effective anchorage and force. You will learn how to help patients with a minimally invasive procedure (that either you or your surgeon can do). 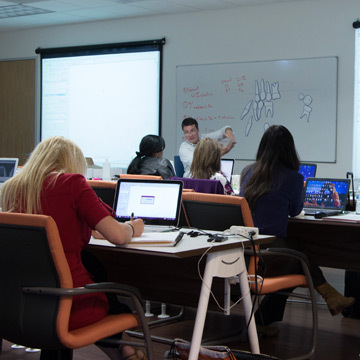 In this class, you will add to your existing skeletal anchorage skills. Better understand the common complications of this procedure and practice diagnosing cases to expand your capabilities. 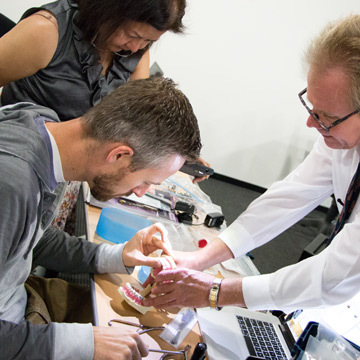 In this seminar, you will become even more versed in some of the most exciting and modern techniques in orthodontics that are now available. Gain tremendous knowledge on what you can do for your patients that was not possible a decade ago. 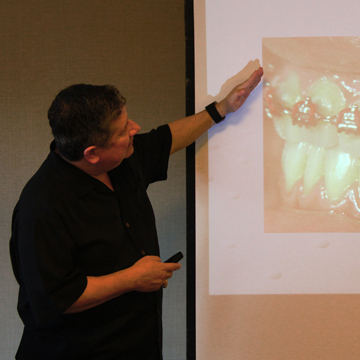 Work with multiple dimensions of orthodontics and know how to avoid many of the common issues seen within the specialty. 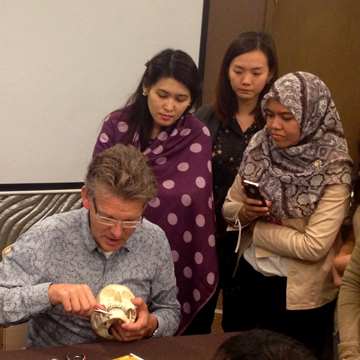 This is a diagnosis seminar where you will be applying what you now know about skeletal anchorage and other multidisciplinary topics to achieve an even higher level of orthodontic and dentofacial care. Some patients cannot be treated with just orthodontics alone. They may have skeletal malformations that require orthognathic surgery or multidisciplinary treatment. Whether or not you decide to treat these cases yourself, it’s important to learn the proper diagnostic technique, how to discuss the case with the surgeon, and the skills for proper case presentation. This is one of the most rewarding seminars, since you will be able to make a significant difference for many patients after this class. Help the patients that often need the most help. You can work with a surgeon effectively and understand how to use growth to prevent more severe Class II and III bites. Orthodontics is an integral part of dentistry, and it is an exceptional tool to improve the prognosis and health of all patients. In this seminar you will become more aware of the problems you face in your practice (periodontics, root resorption, TMD, etc.) and how to better manage these. These patients can usually benefit from orthodontics and it’s important to understand their options. 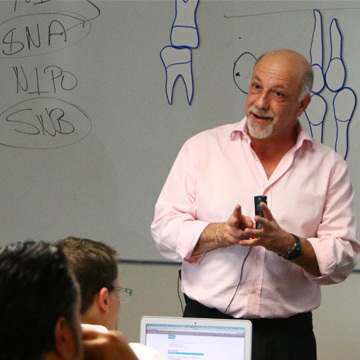 Seminar 12 is the end of your ‘basic orthodontic series’. You will have reached a milestone to represent POS well. After 2 years of learning, this program will probably be one of the most challenging experiences of your career. But hopefully it will cultivate one of the most rewarding parts of your dental practice. Graduation celebration with family and friends! 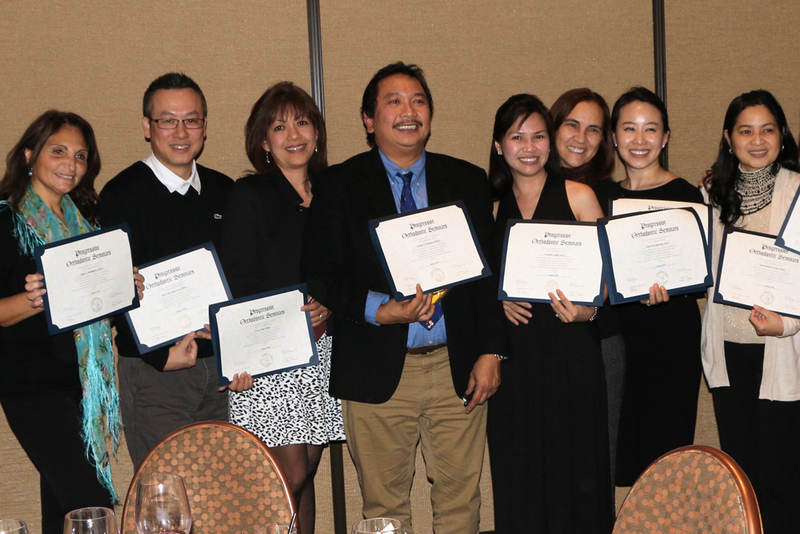 Represent yourself and POS well with a high level of orthodontic knowledge. You can now manage some of the most complex cases you’ll see in your practice, even those that need a multidisciplinary treatment plan. The Internet Assisted Training (IAT) format provides a comprehensive education within a more flexible, multimedia format. You would gain didactic and hands-on training by both studying online and attending 4 live classes. This is a great format if you need a flexible schedule, minimal travel, and thrive with online learning. You would self-study the majority of the program at your own pace and minimize your time in a live classroom. Your online material would include hundreds of cases, lessons, diagnostic exercises, seminar videos, tutorials and quizzes. At the 4 live modules (Friday – Sunday), students participate with intensive hands-on workshops. The live modules condenses all the hands-on exercises from the live format into just these 4 sessions. Instead of attending 48 days in the Live format, you would attend just 12 with IAT. 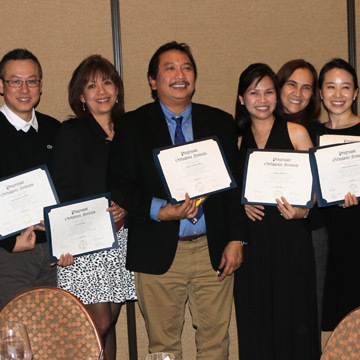 You will develop your orthodontic capabilities over a 14-20 month period and learn under a single instructor. You can constantly be in touch with your personal instructor via phone, email, webinars, and at the live modules. You will practice providing consultations since patients will want to know—how much is treatment, how long will it take, and what are the next steps. Module A is equivalent to Seminars 1-2 in the Live Series format. Become confident to analyze and discuss your cases immediately when you go back to the office. There is no required homework. However, we encourage youto get familiar with the online materials. Any prior review reduces your studying after. You are also encouraged to look for patients and bring in records if you feel ready. Discuss and diagnose your easier orthodontic cases. You can also start earning orthodontic revenue! After having a brief review of what was covered in Module A, you will learn the mechanics to treat your bread and butter orthodontic cases. Module 1 is equivalent to Seminars 3-4 in the Live Series format. 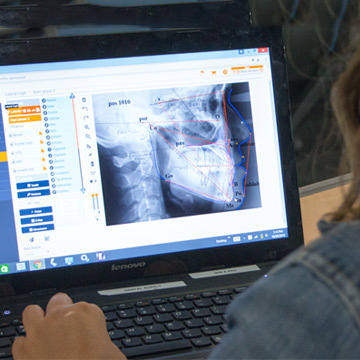 Students will learn how brackets, torque, and common orthodontic appliances work and the stages of orthodontics in more detail. We will now reveal the treatment given to the 10 practice cases that you have been working on. We are sharing every detail in these cases, so you can understand how the principles you see apply to your own patients. Start treating orthodontic patients! You will also understand the treatment plan for your bread and butter cases. This module will shift more into diagnosis, treatment planning, and the actual treatment of the cases you will see. You will work with slightly more difficult cases and material to expand the range and efficiency of your capabilities. Module 2 is equivalent to Seminars 5-8 in the Live Series format. 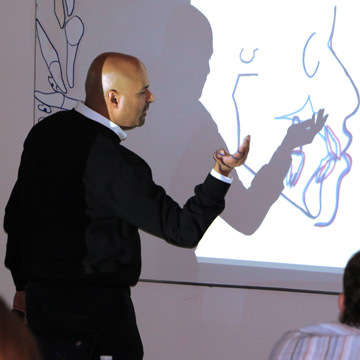 You will learn new principles in greater depth, including those in mixed dentition, Class III, impactions, finishing, and asymmetry. Gain more understanding of the best appliance for each treatment. Become proficient with TPAs, T-loops, finishing bends, niti closed coils, RPE, and Class II mechanics. Understand Class II and Class III patients with better diagnostic knowledge and treatment tools. Apply new tools like TPAs and growth management skills to help your young patients. Diagnose and treat cases with moderate severity, including some cases with asymmetry and biprotrusion, and use patients’ growth with more confidence. You will gain new tools to open up a world of orthodontic capabilities not possible a decade ago. You can now use techniques like skeletal anchorage to diagnose the vertical dimension, allowing you to have predictable results with your deep bite and gummy smile patients. 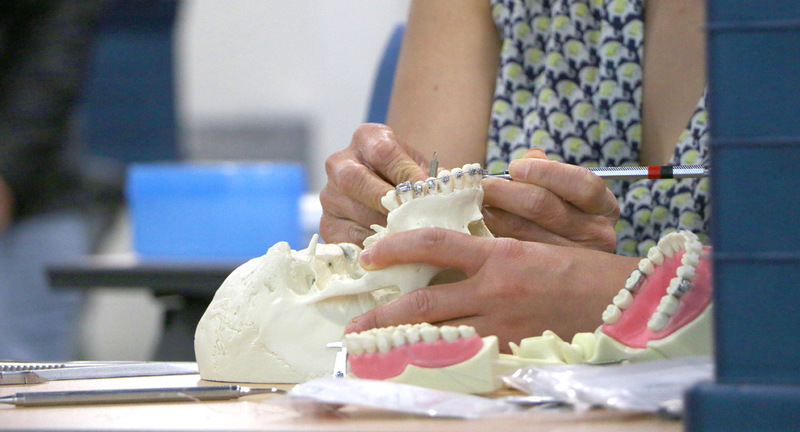 Improve the prognosis and health of all your patients as you explore how orthodontic principles can be an integral part of your GP practice. Whether or not you decide to treat patients who need multidisciplinary treatmentor surgery, it’s important to learn the proper diagnostic technique and how to discuss the case with your team and patients. This is a rewarding module, since you will be able to make a significant difference for many patients after this class. Module 3 is equivalent to Seminars 9-12 in the Live Series format. This is the end of your ‘basic orthodontic series’. After your extensive studying, this program will probably be one of the most challenging experiences of your career. But hopefully it will cultivate one of the most rewarding parts of your dental practice. 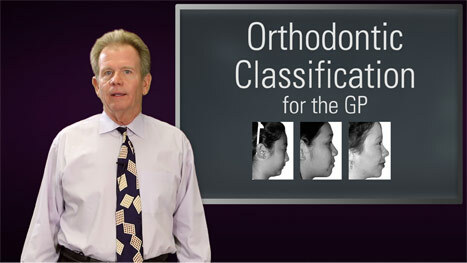 Manage complex cases, understand multiple dimensions of orthodontics and avoid the common issues within the specialty. You may now help patients that have gummy smile, deep bite, or need a multidisciplinary treatment plan.You now can represent yourself and POS well with a high level of orthodontic knowledge. We know our comprehensive orthodontic series is a big commitment for many doctors, so you're invited to attend a special one day introductory seminar free of charge. Come and learn a little slice of orthodontic knowledge and see if our program is right for you. 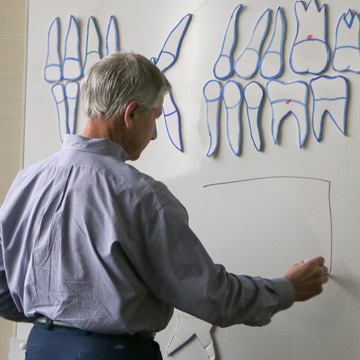 We invite you to test drive our program with a free, 1 hour Intro to Ortho video. Learn more about orthodontics and see how convenient online study is.